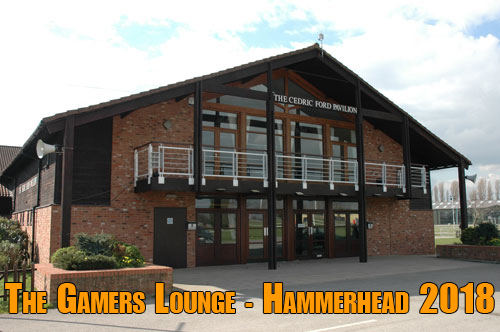 Hammerhead 2018 - two great spaces the ‘Gamers Lounge’ as well as the George Stephenson Exhibition Hall! 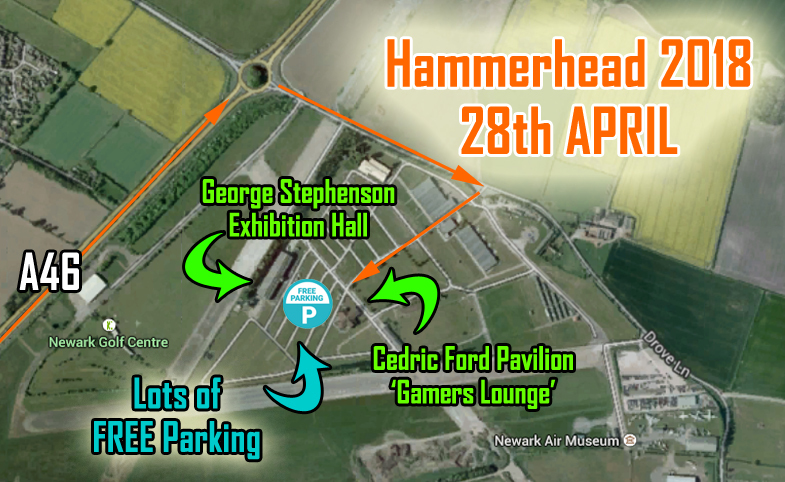 Hammerhead 2018 will be taking place on Saturday 3rd March at the Newark Showground, Newark, from 10am until 4.30pm. Entry is £5.00 GBP per adult, £3.00 GBP for minors (16 and under), Children under 9 free. Tickets are now available on-line which entitles you to a free Hammerhead miniature on entry. 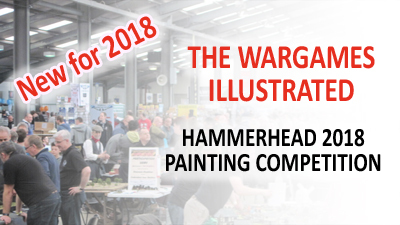 New for 2018 is the Wargames Illustrated painting competition, 10 categories and great prizes (check website for more information) - free entry to the competition, just bring along your models! 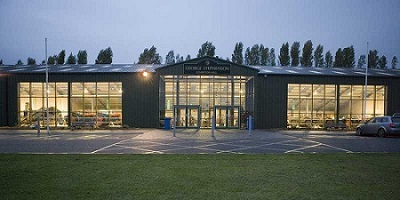 George Stephenson Exhibition Hall and the Cedric Ford Pavilion - the ‘Gamers Lounge’ offer a welcoming environment with plenty of natural light in which you can play games, shop for wargame goods from the very best UK traders and manufacturers. Up to 70 fantastic visitor participation games – Historical, Fantasy and Sci-fi, located in the central areas are the focus of the show. There are two separate catering facilities which will be serving a variety of reasonably priced hot and cold food throughout the day and a fully licensed bar located in the Gamers Lounge. Hammerhead show will be hosting a Tabletop Sale in place of the usual bring and buy stand. 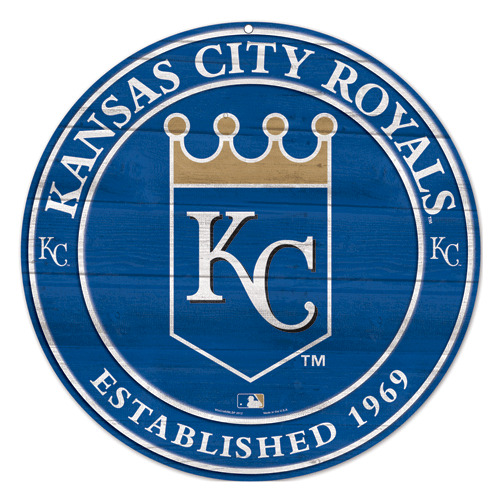 With no commission, you keep all the profits. The Hammerhead 2018 miniature, is a WW1 Russian general and will be available for the first time on the day of the show for the token price of £1.00 GBP, or FREE if you purchase your Hammerhead Entry ticket online prior to the show. See website for details. Hammerhead 2018 is being run by Kallistra Ltd with assistance from the The Forest Outlaws Wargamers Club and GCN. Supported by Miniature Wargames, Wargames Illustrated and Wargames Soldiers and Strategy magazines. So in just a few years. It is at moments like this that I realize English and Americans have totally different concepts of what constitutes a far distance. Absolutely correct. Something I have discussed with some of my US buddies on several occasions. I was gonna say, isn't that only several hours' drive from where you live? And then it occurred to me that driving several hours for a gaming convention on a (semi)regular basis perhaps isn't something you guys do over there (whereas I'm pretty sure most of us Yanks have done so on numerous occasions). The 13 hour drive to Origins was kinda tough. You also should realise that for one thing, I'm not as young as I used to be and find driving longish distances very tiring, although it was not an issue when I was younger. I should add that to go to such an event would likely mean staying in a hotel or B&B and buying meals. Unfortunately, I don't have the disposable income to be able to do that. Hobby money that I do accumulate usually goes on a game, an event which, given the cost of games, is a pretty rare event. By the time you recover it will time to go again. Have you thought of pawning the armor-piercing frying pan? The problem is clear. The gaming convention needs to change its location to your home town. Origins was in Philly one year in the mid 90's. At the time I was living a 15 minute walk away. The one and only Origins I've attended.